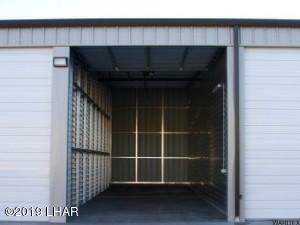 Premium RV & Boat storage 13x36,6' DEEP located on the south side of LHC. Men & women bathroom with showers, wash area with clean out, 7,000 KW solar system, automated gate with openers, security system, cameras & remote login/viewing. Each unit has a 20 amp service, radiant barriers in the ceiling and water barriers at the base. CLEAN unit!!! Buyer to verify dimensions. Obtaining current HOA dues if they have changed. Will update. Buyer to pay transfer fee.